Would your community group or family like to visit and use our observatory? 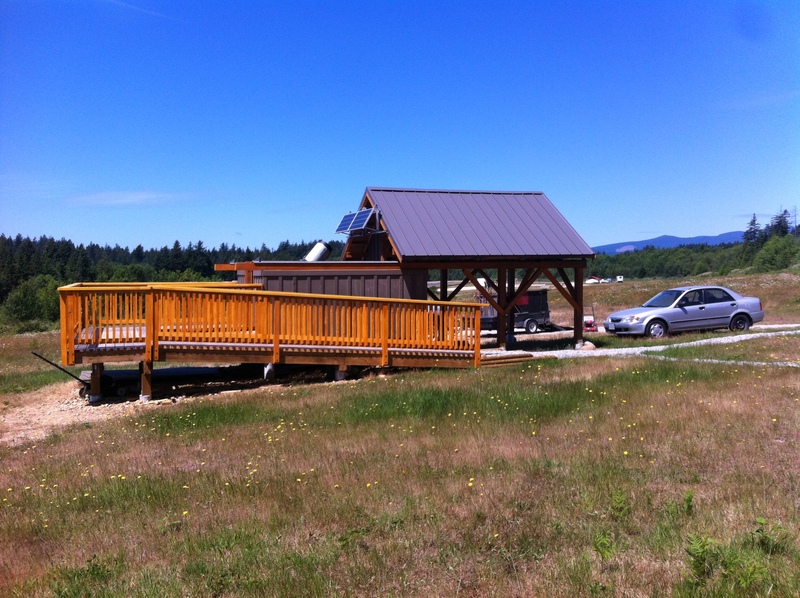 It is located at the Sechelt Airport: Entrance from the gate at the top of Field Rd. The schedule for public viewing at our SCC Observatory can be found on our Events page on this web site. Daytime hours can also be arranged for groups. Viewing and tours are free but donations are certainly appreciated as this helps us to maintain and operate the observatory. Contact us at: info@coastastronomy.ca or phone 778-458-2666 if you are interested in attending the observatory on one of those dates. We will send you instructions. Parking: The photo above shows where the parking area for the observatory is. Parking is on the north (right hand) side of the road to keep it away from the observatory and the area where members set up telescopes to keep the headlights away from this area to preserve the night vision of observers. Do not drive down past the observatory towards the runways. Please observe any marker cones or trestles, they are there for everyone’s safety. 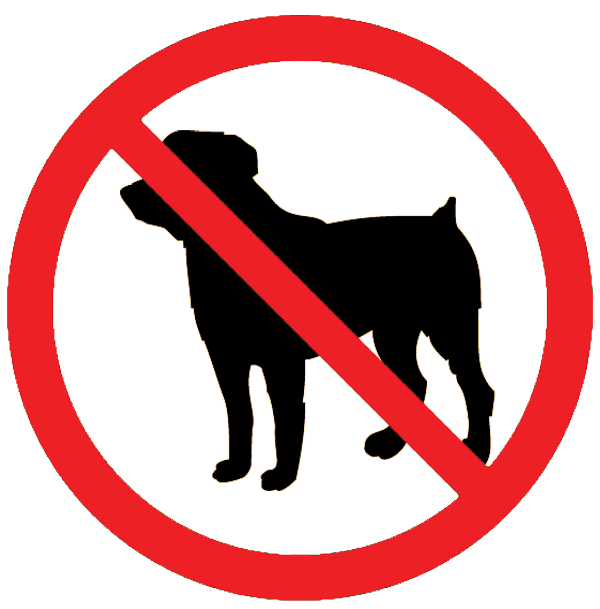 No dogs are allowed on the observatory site. 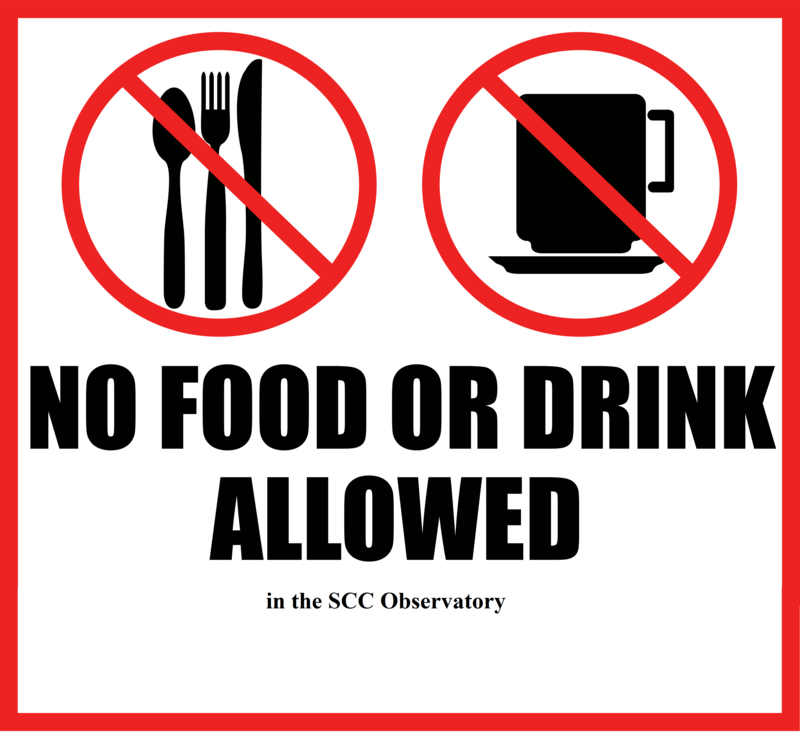 No food or drinks allowed in the observatory (visitors may consume beverages or snacks OUTSIDE only). 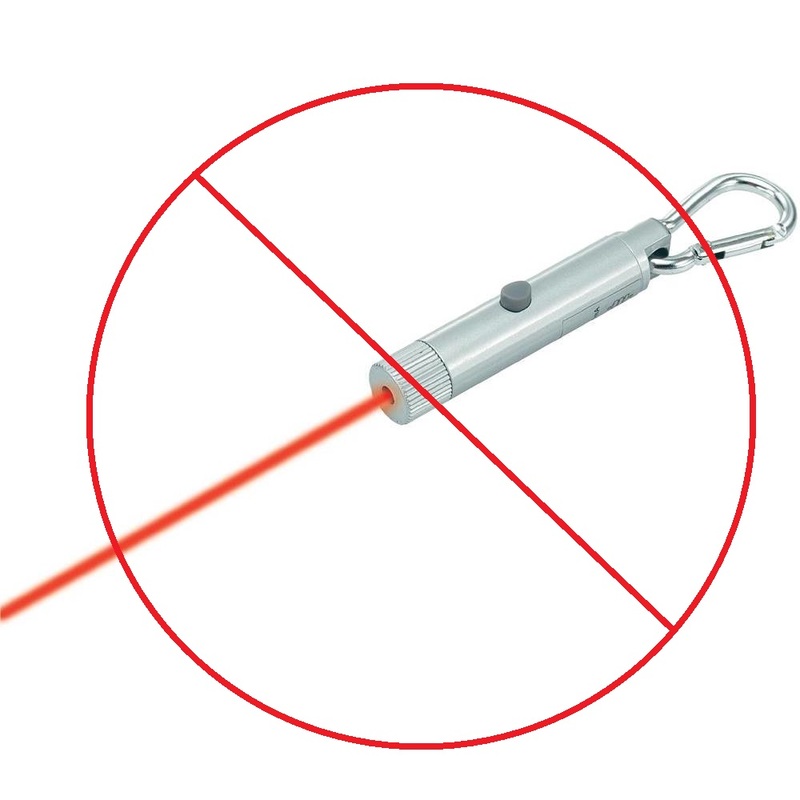 Laser pointers are prohibited on airport property by Transport Canada. 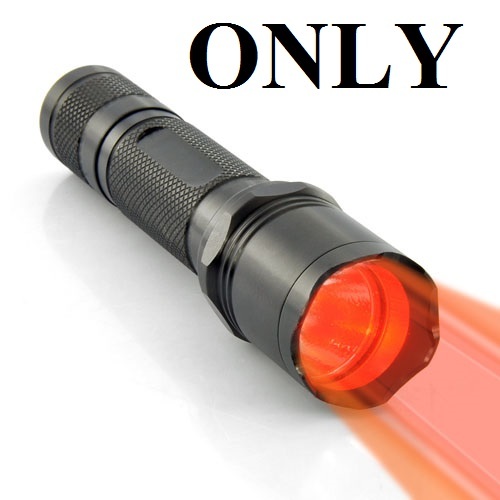 Flashlights with red light only on site in order to preserve night vision. The Qualified Observers at the SCC Observatory have some red gel and rubber bands for anyone wanting to modify their regular flashlights. In 2004 when the founding members created the Sunshine Coast Astronomy Club, we dreamed of one day building an observatory. We became an RASC Centre in April 2008. Through donations, fund raising, and a provincial gaming grant we raised the money to get started. In 2013 we started to build our observatory at the Sunshine Coast Regional Airport near Wilson Creek on the Sunshine Coast. The concrete for the pillars for the frame and the telescope mount was donated by Swanson Ready Mix Concrete, much of the machine work was donated by Choquer and Sons Machine Works, and much of the custom milled wood for the construction came from BMHC Milling. Lothar Hirschfelder donated his time to weld the aluminium frame for the solar panels. Assistance with roofing was provided by Pete Weiler of Space Construction and construction assistance provided by Terry Malmloff of Sunshine Coast Home Check and Colin Bradley of West Can Carpentry. All of the rest of the work was done by members. Pest Control is managed by Ron Dickinson of Sunshine Coast Pest Control. Linoleum for the Warm Room was donated by Rug Runners in Gibsons, and insulation by Gibsons Building Supply. 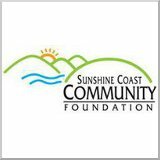 In May 2015 we received a grant from the Sunshine Coast Community Foundation to pay for a camera and video screen system for use by the club. 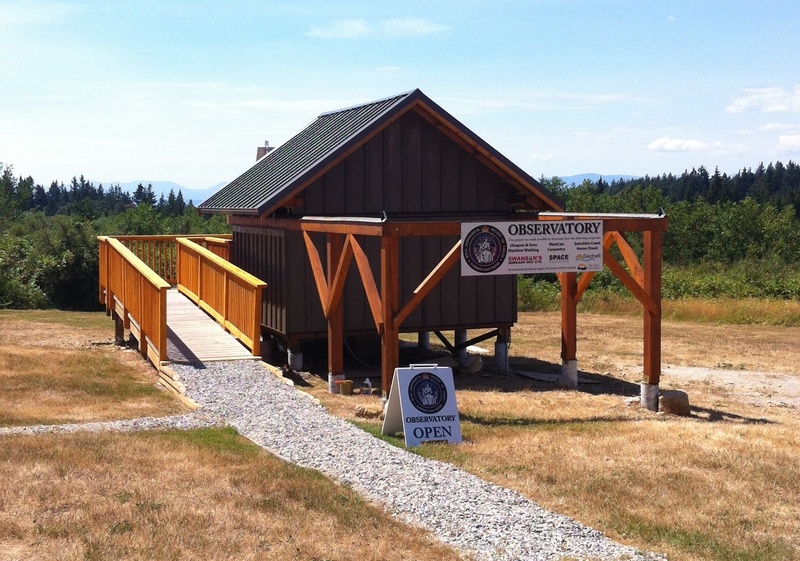 Our observatory opened on June 27, 2015. In September 2015 Vancouver Telescopes donated the protective cover for our telescope. In February 2016 our observatory was nominated for a Wood WORKS! BC award for their Institutional Wood Design- Small Structure category. Public Education. Members of the RASC SCC have developed and practiced a comprehensive public outreach program that effectively communicates astronomical information in a direct and accessible fashion through public talks, classes, public viewing sessions, and star parties. Members of the RASC SCC have structured the program to accommodate various levels of knowledge. The SCC Observatory provides the perfect platform to support the educational outreach program. Cultural/Recreational Appreciation. Appreciation and wonder of the night sky is a natural human heritage. Our astronomical observatory provides our members and the public a safe and exciting avenue of exploration. A visit to the observatory will provide local individuals and families with another venue for appreciation of our Sunshine Coast environment, and also be an attractive opportunity for tourists to further enrich their vacation experience. Development of student and youth potential for career and intellectual growth. RASC SCC members are honoured to have the opportunity to be in a position to possibly influence and contribute to youth development by offering introduction to the excitement and challenge of astronomy and science. Student and youth visitors to the observatory outreach program will be encouraged to learn and invited to join the team of observatory volunteers that deliver the outreach program. The SCC observatory is wheelchair accessible. Scientific contributions. A significant portion of the scientific observations made for astronomy are made by amateurs using equipment such as the telescope installed in our SCC Observatory. Realizing the scientific research potential of our public observatory will raise awareness and promote the status of the facility. The near proximity and endorsement of the observatory by astrophysics departments at UBC, SFU, the University of Victoria, and Western Washington University offer a huge potential for future development.